Since 2001, the Five-Oh has been a place where college aged women share life together in Christian community. Our goal is to provide a home where a living, authentic relationship with Jesus Christ can be explored, lived and shared. The Five-Oh is a place for academic excellence, spiritual growth and life-long relationships. I started the Five-Oh in 2004 after a wonderful few years of living in the house as an undergraduate student at UW. I believed wholeheartedly in the mission and purpose of faith-based community living and the way in which it can shape and sharpen individuals' lives during the formative college years. I loved leading and walking alongside young women and knew this was where the Lord wanted me to use my gifts to serve Him. Over the next 10 years, we grew in size, moved locations and acquired various homes, all in an effort to serve and impact more college women along the way. Looking back, I witnessed countless ways in which the Lord's mighty hand worked intricately in the lives of the women who called Five-Oh home. I will forever be grateful for both my student living experience and being able to serve the Five-Oh for so many years. It's truly a special place. We love being a part of what God is doing in the lives of the young women that He brings to the Five-Oh! 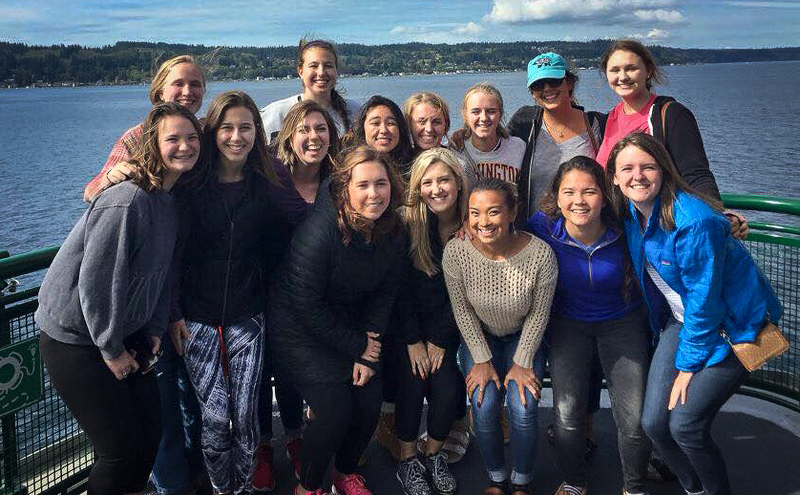 Since graduating ourselves from the University of Washington, we have been involved in college ministry at University Presbyterian Church and Young LIfe and are delighted to host this intentional community where students can recharge, have fun and live life in Christ that He intends for them. "Living in the Five-0 brought friendship, community, fun, and fellowship. The weekly small group bible studies nurtured my relationship with the Lord and fostered strong relationships with my roommates. The organized community activities such as dances, mock tail evenings, and BBQs made for great memories. But most of all, the intentional living brought such strong friendships that have continued over the years. My FIve-Oh girlfriends still hang out on a regular basis, supporting each other as we are now venturing into motherhood. We even go on an annual FIve-Oh camping trip and bring our families along! Living in the Five-Oh positively impacted my life in college and will for years to come."